Now could be the perfect time to consider a career with one of the UK’s fastest growing dealer groups and proud member of the prestigious AM100 Top Dealership Groups in the UK . We’re always on the look-out for talented individuals and you’ll be able to find all our current vacancies below. Our business comprises 12 centres throughout London, Hertfordshire, Buckinghamshire and Essex and we are extremely proud to represent the Volvo, Hyundai, LEVC and Lotus franchises with flagship dealerships for our brands amongst our portfolio. 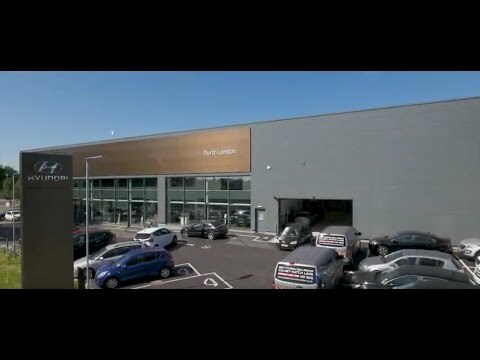 This includes Hyundai North London which we're delighted to introduce below and we believe sets the standard for what we believe is the start of an #endeavolution! Be the partner of choice to facilitate all of our customers' motoring needs. Develop all our team members who will endeavour to grow a dynamic, progressive, rewarding organisation in such a way that we, our customers and business partners will say "why would I go anywhere else?" Deliver 100% Right First Time on Time, Every Time in the most cost-effective manner - all with great customer service.